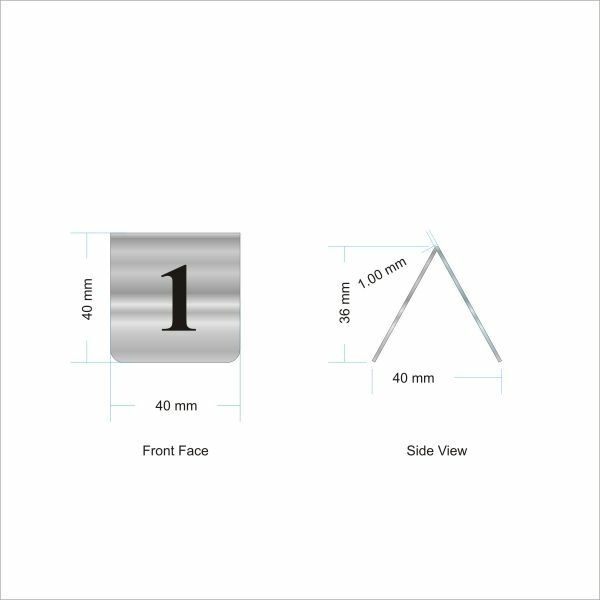 Our Stainless Steel Tent Shaped Table Numbers are supplied in a 0.9mm thick material with a front face of approximately 40mm x 40mm (See images for more detailed measurements). 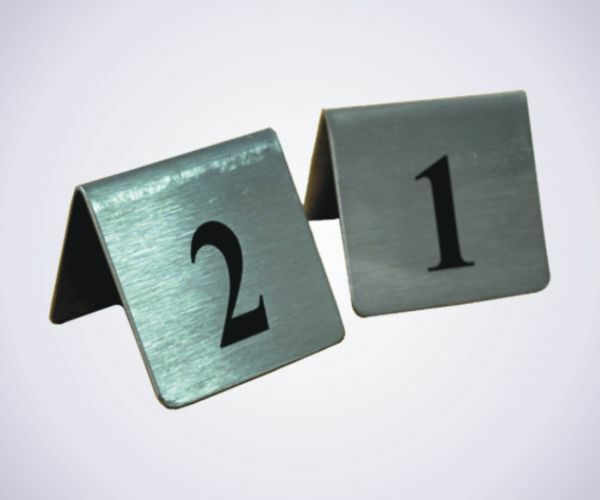 They are supplied in 316 marine grade stainless steel with contrasting matte black laser engraved numbers. These free standing Table Numbers can be engraved on one or both sides. NB. Small quantity orders (less than 5) may incur extended lead times or a minimum order charge - if relevant we will contact you to discuss.